Sharing some fun Valentine finds on Etsy today! 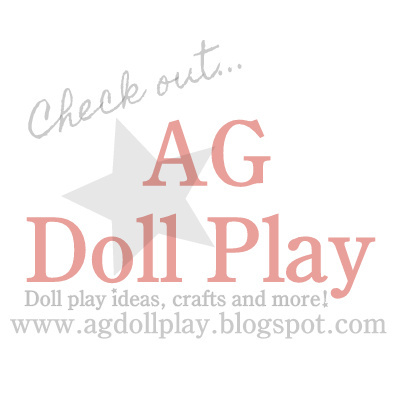 Photos are all from the individual Etsy listings and all items are linked to the specific shop where you can find the item...and other items that are super adorable finds for your dolls as well! My personal favorite is posted above. I love aqua and red together and the love bird pattern on the dress is so sweet and I've never seen that pattern before, love it! 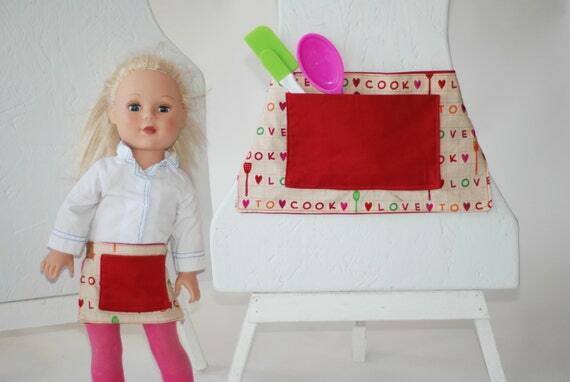 I also adore this little apron set pictured below...it would be so fun to wear while baking some special treats for Valentine's Day don't you think? 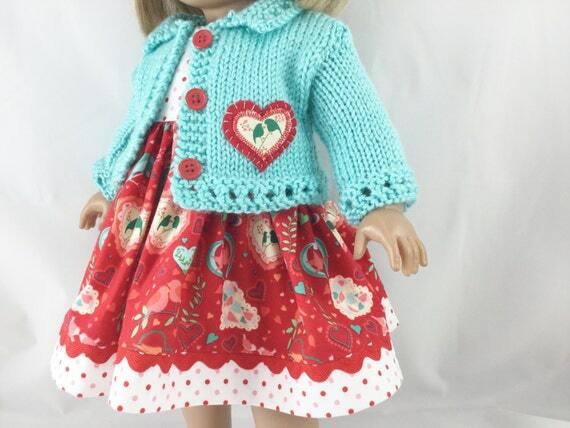 This girl and doll skirt set would be fun! 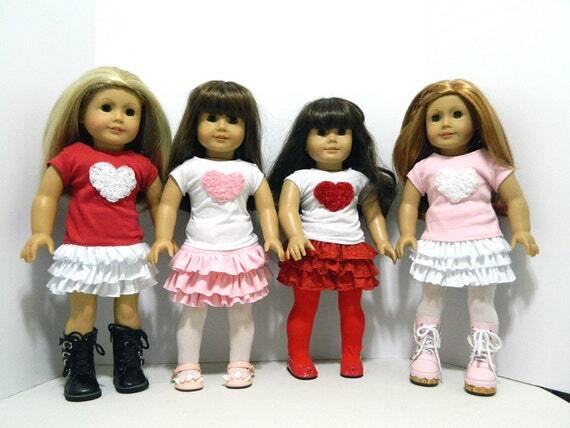 And I love this set especially...I could see our doll Bella wearing this since her style is fun and funky! It's fun to look forward to another holiday now that Christmas and New Years is over. We need something to help us get through this bitter cold month here anyways!